A law allowing the concealed carry of handguns on college and university campuses in Kansas takes effect on July 1, 2017. 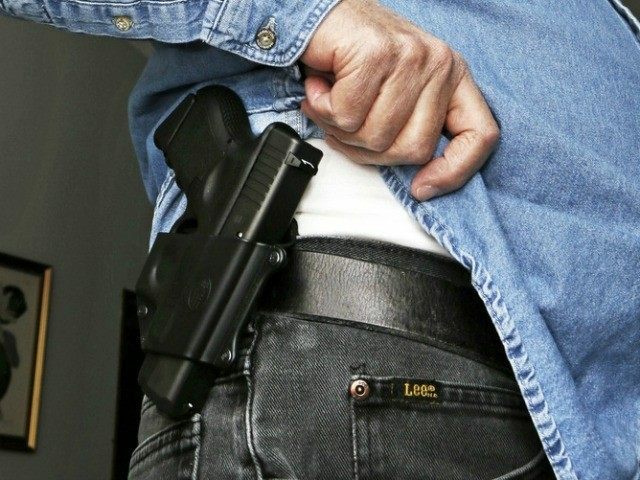 The Lawrence Journal-World reports that universities were granted “a four-year exemption” to give them time to add “adequate security” to buildings in which they did not want concealed weapons carried. Once that exemption expires, campus carry will be legal and undeniable throughout the state. The start date for concealed carry on campus is July 1, 2017. Kansas University Board of Regents Chairman Kenny Wilk has already made clear the school will not be “installing security at all of their 800-plus buildings.” This means concealed carriers will provide their own security in certain locations. But incoming Kansas University Senate President Michael Williams is trying to find a way to prevent concealed carry on campus, if possible. He suggested it “would be nice if they could persuade legislators in the 2016 session to change the law or extend exemptions,” but he also admitted the odds of getting this done are very slim. Note: Williams did not address what he is doing about the guns that criminals have on campus now or the ones that criminals will bring to campus between now and July 1, 2017. Rather, he is focused on how to handle guns on campus when the law changes to allow law-abiding citizens to carry guns for self-defense.